This article presents the main findings of the EU-CIVCAP Report DL 5.3, “Report on civil-military synergies on the ground”, published on 29 May 2018. To learn more about the status of civil-military synergies in EU’s Common Security and Defence Policy missions and operations, please see the full report. New Wars and hybrid threats are complex and multidimensional. In response to this complexity, the European Union and the international community at large have faced persistent challenges in aligning civilian and military instruments for coherent responses. A key stepping stone for wider coherence has been the pursuit of civil-military synergies. As part of EU-CIVCAP’s report on synergies on the ground (Deliverable 5.3) we reviewed EU policy and academic literature to find that civil-military synergies were a much-discussed but conceptually elusive notion in the field of Common Security and Defence Policy. To gain a better grasp of the subject a framework for analysis was developed to more precisely identify the types of relationships, the organisational levels, and the operational phases in which civil-military synergies have been explored. We found that synergies were often analysed in the same light as coordination, with more focus on the exchange of information than on the adaptation of practices and thus added to the framework the view that synergies should be studied as a logical framework outcome of coordination activities when studied on the operational level. In other words, if civilian and military actors in a given relationship did not adapt their mode of operation in some way or form as a result of coordination, we rejected the interaction as a synergy or pursuit of synergy and considered it only to be an exchange of information. Similarly, we found that most policy literature and field guidance referred to civil-military synergy as a measure to reduce duplication and resource expenditure while academic studies and wider policy frameworks for coherence (such as the EU’s Comprehensive Approach) considered synergies as a measure to increase overall impact (i.e. with an impact larger than the sum of its parts). Based on this framework, we narrowed our research scope into studying specifically EU civil-military synergies in intra-agency, inter-agency and international-local relationships at the operational level during the execution of Common Security and Defence Policy missions and operations. For the field research we designed a comparative study between EU engagements in the Western Balkans and the Horn of Africa where data was collected through field observations, document analysis and 27 semi-structured interviews conducted in the mission areas between March 2017 and March 2018. Look at synergies as outcomes of coordination. The act of sharing information or conducting numerous coordination meetings among actors have a very limited bearing on the number and quality of established synergies. A survey of the activities of coordination (i.e. meetings, briefings, exchange of liaison officers, etc.) is a poor indicator of synergies, and ‘coordination’ is an even poorer mandate task if not backed by incentives to act beyond sharing of information. Use a coherent framework for establishing in which types of relationships, which organisational levels, and which phases of operations we are looking for synergies. Civil-military synergy is an often-used term in many EU structures and offices, but one for which very few respondents had a clear definition. Synergies can be studied and pursued in two different forms (impact-increasing and cost-reducing) and in multiple types of relationships, organisational levels, and operational phases. This should be reflected in field guidance and policies to make clear for practitioners what the intended outcome is. Take leadership in multi-actor external coordination. We find that the biggest potential for establishing effective civil-military synergies actually lies with the EU’s credibility among external actors. 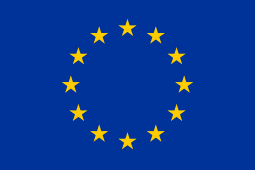 In multi-actor environments the EU is often seen as a competent and legitimate actor in mediating and directing the activities of other international actors and organisations. This is particularly the case in fields where the host nation government lacks the capacity or will to act as a central coordinator and facilitator of inter-agency and international-local synergies. Appoint leadership in internal coordination. When it comes to internal civil-military synergies (i.e. intra-agency synergies in the EU), the situation is even more challenging. The lack of integrated leadership and management at the operational level leaves CSDP missions and operations without any structural incentive to adapt to regional agendas or to exchange resources to the benefit of other EU instruments. For the time being, all missions and the EU Delegations are tasked to ‘coordinate’, but with no leadership, decision-making or mediation capability appointed locally. This leaves the pursuit of synergies hamstrung in meetings and exchanges of information, but without operational adaptation or support as its outcome. This situation is unlikely to change if leadership and chains of command are not integrated locally or detailed mandates are not given for the exchange of resources in support of the EU’s wider regional approaches. For more information on the analytical framework applied to this study, please see: Zartsdahl, P.H. (2018), ‘Civil-military Synergies in EU Crisis Response and Peacebuilding: A Framework for Analysis’, Global Affairs. For more on Strategis of Coherence, see de Coning, C. and K. Friis (2011), ‘Coherence and Coordination: The Limits of the Comprehensive Approach’, Journal of International Peacekeeping, 15(1), 243–272. A conceputally lower tier of interaction. Title photo caption: On 4 March 2017, Federica Mogherini, High Representative of the Union for Foreign Affairs and Security Policy and Vice-President of the EC, travelled to Pristina, Kosovo*, where she paid a visit to the European Union Office and also participated in the bridge ceremony in Mitrovica. * This designation is without prejudice to positions on status, and is in line with UNSCR 1244/1999 and the International Court of Justice Opinion on the Kosovo declaration of independence. 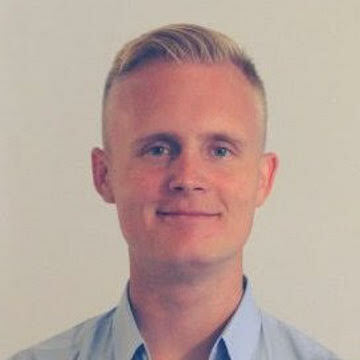 Peter Horne Zartsdahl is a PhD Candidate at Roskilde University, where his research focuses on the comparative study of civil-military synergies in EU’s missions on the Balkans and Horn of Africa.